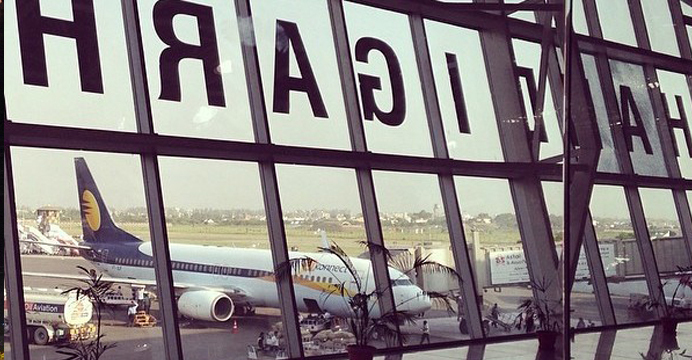 The Chandigarh International Airport at Mohali, Chandigarh is set to be CAT III-B compliant for countering fog. The upgradation will allow aircraft to land under 50-metre visibility. It was reported by the airport officials that all stakeholders, including the Union ministry of civil aviation, Indian Air Force (IAF) and the Airports Authority of India (AAI), have agreed for installation of the much-needed advance instrument landing system (ILS) at the airport. A formal statement discussing the installation of ILS (CAT III-B) was made before the Punjab and Haryana high court recently by the agreement division of the ministry of civil aviation through assistant solicitor general of India, Chetan Mittal during the resumed hearing of a petition related to facilities at the airport. Presently, the CAT III-B ILS is successfully operational at Delhi, Jaipur, Lucknow, Amritsar and Kolkata international airports. The ILS reduces the minimum altitude required for a pilot to sight the runway end before making a decision to land or divert to an alternative airport. At present, an aircraft requires at least 350-metre visibility to land safely at the airport; however, several flights have been delayed and cancelled due to unfavourable climatic conditions in the city. For instance, on January 1, 10 flights were cancelled and 13 delayed as dense fog reduced visibility to zero till the noon, leaving flyers stranded at the airport. According to the proposal, the installation work would be undertaken by an agency appointed by the IAF and the AAI would bear the entire cost. The main runway at the airport has two sides — runway 29 and runway 11. As per the proposal, runway 29 would remain CAT II compliant, while the runway 11 would be upgraded to CAT III-B. At the high court, Mittal said a meeting was held on December 1, 2015, between the senior officials of the ministry, IAF, AAI and DGCA in which AAI had projected that CAT III-B needs to be installed at the Chandigarh airport. On this it was decided to conduct a joint study to check the feasibility of installing the advance ILS on runway. A division bench comprising Justice A K Mittal and Justice Amit Rawal asked the AAI to come up with the final plan regarding installation of the ILS-IIIB by April 5. It is apprehended that CAT III will help to bring in more flights, thus increasing flight frequency. Suneel Dutt, CEO, Chandigarh International Airport also stated that the upgradation is a benchmark of availability of multiple facilities at any airport and thus it would help in attracting more domestic and international flights. The IAF, which controls the runway and the air traffic control (ATC) at the local airport, has planned to install ILS (CAT II) under its Maintenance of Air Field Infrastructure (MAFI) project.